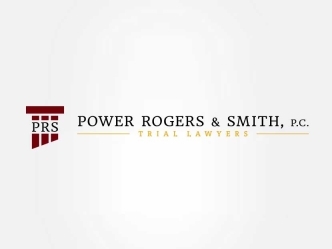 Recently, Power Rogers & Smith attorneys Larry Rogers, Sr., Larry Rogers, Jr. and Kathryn Conway reached a settlement agreement with Advocate in a medical malpractice case involving the death of a 46 year-old woman, wife, and mother of two. The Plaintiff maintained that when his wife arrived at Advocate’s Emergency Room complaining of pain associated with sickle cell crisis, the Advocate staff failed to monitor his wife for over 12 hours after she was admitted to the hospital. As a result, plaintiff alleged, her sickle cell crisis was permitted to develop, without any intervention, into acute chest syndrome, which caused her death approximately 40 hours after she was admitted. Defendant maintained that there were no signs and symptoms of acute chest syndrome that warranted additional follow-up and intervention, and that the acute chest syndrome developed too aggressively for intervention to be effective once signs and symptoms were apparent. Plaintiff believes that had appropriate intervention in the form of adequate oxygenation and a blood transfusion occurred, the Decedent’s life would have been saved. “This case involved multiple failings – failings on the part of the nursing staff in not treating, assessing and re-assessing the patient as well as failing to timely inform the treating physicians of the need for intervention despite multiple warning signs,” said Larry Rogers, Sr. “Acute Chest Syndrome is a known and very dangerous complication of sickle cell crisis. Our client’s death was entirely avoidable had basic standards been followed for assessing and re-assessing the patient,” said Larry Rogers, Jr. “It was an honor to represent our client and his two daughters, and although this settlement cannot undo what was done, our clients are grateful to have answers regarding what happened and believe that justice has been served,” added Kathryn Conway. The case had been pending since 2012 in front of the Honorable John H. Ehrlich in the Circuit Court of Cook County. Learn more about our medical malpractice lawyers.